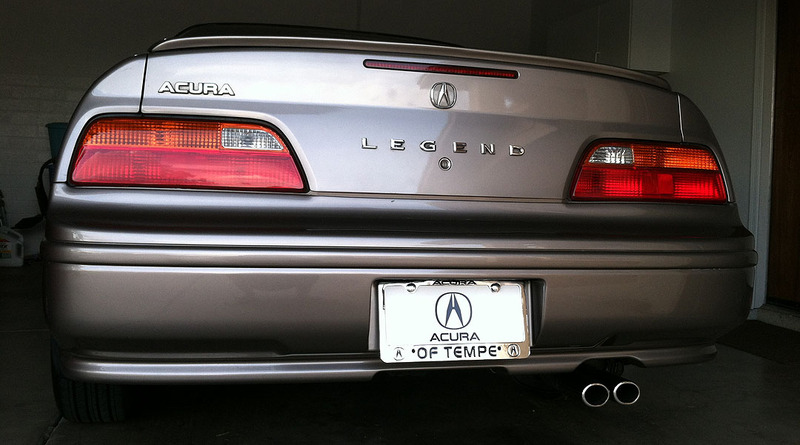 I haven’t always been spoiled by the luxuries of Acura in my lifetime of automotive experience. 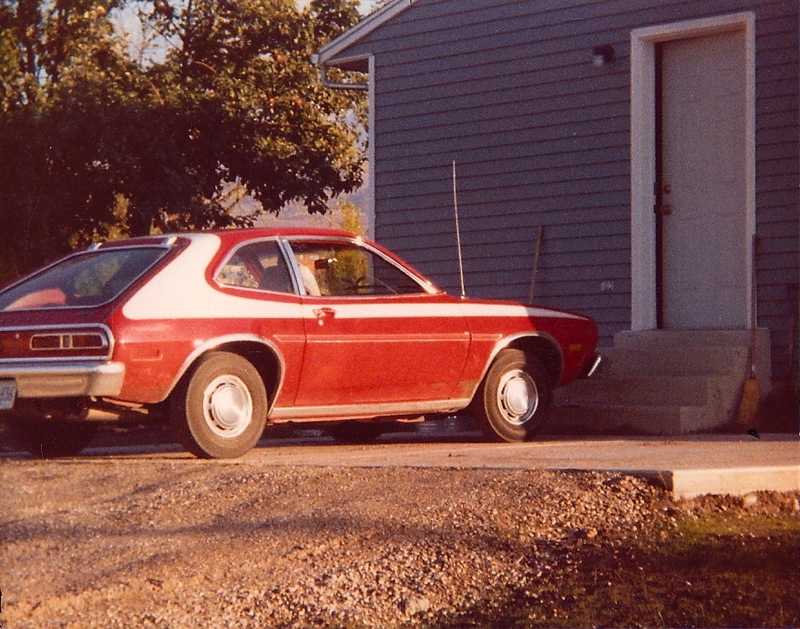 Would you believe that my first taste of the world of cars was in a glorified Ford Pinto? Nearly 31 years ago, I rode home as a newborn from Logan Hospital in northern Utah in a car that’s been designated in some articles as one of the worst cars of all time. I challenge each of my Drive to Five readers to find out if you haven’t researched it already: What kind of car was the first one you rode in? I present to you: The 1978 Mercury Bobcat. The hottest ride in Richmond, Utah. This little gem, as it turns out, has a story to tell. Tuesday, October 6, 1981. I was two months away from being born and my mom was 19 years old. We got rid of our Monte Carlo for $2,700 and bought a 1978 Mercury Bobcat (like a Pinto) for $2,600. We bought it from a girl here in Richmond who is Craig’s age. She sold it because she is getting married in December. The $100 “profit” went for taxes. But this little hummer gets 25 mpg in my driving back and forth from Richmond to Logan. It only takes me $12 or $13 to fill it instead of $25. So I figure even though it isn’t as nice a car, we stepped up to three years newer, get twice the mileage, and I am happy with it. Craig has complained about the way it rides because he hates all small cars but he was spoiled with the Celica. No car can compare to the Celica in ride. Indeed, how could anything ever compare to the 1980 Celica that my dad was benchmarking against? It looks like automotive engineering has come a long way in the last 34 years. Fast forward to the 2013 model year and I’m driving a 4 cylinder vehicle that’s putting out 228% more horsepower than that 1978 Bobcat. Inflation, though, is killer. You could buy about 7 1/2 Bobcats for the price of my Acura ILX. Times change! 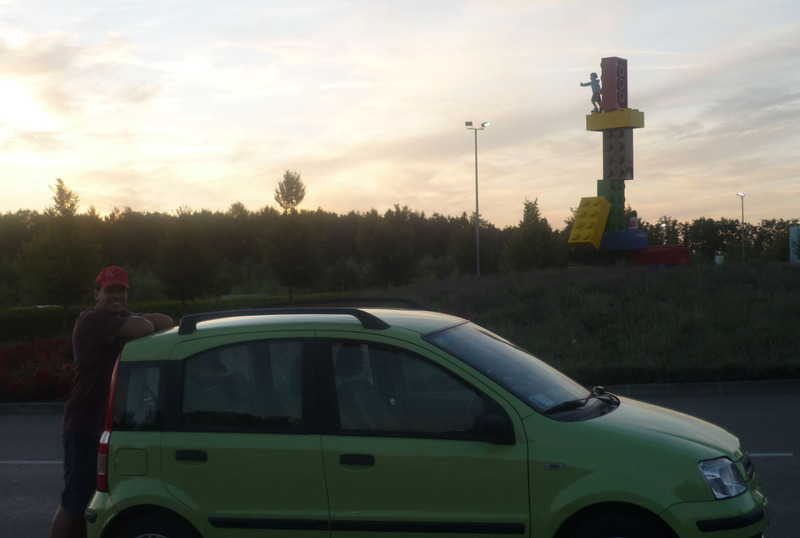 Francesco also sent these photos of his Fiat outside Legoland in Germany. 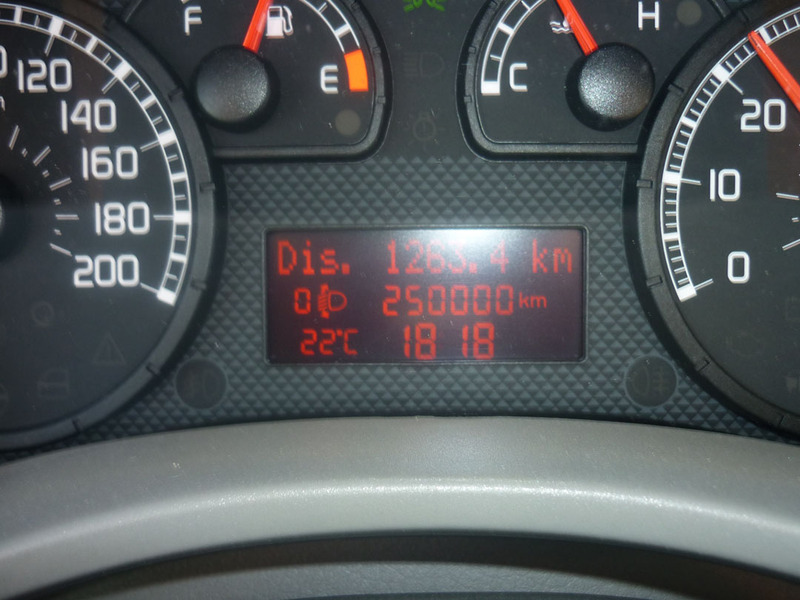 Car looks great for the mileage! I received a Media Alert from Honda this week announcing the start of production of the all-new 2013 model year Accord at the Marysville, Ohio plant. When I attended the Detroit Auto Show in January, I laid eyes on one of the very first Accords built in the United States – a gray 1982 that I blogged about here. Since ’82, there have been over 9 million Accords built in the United States. Quite a feat! 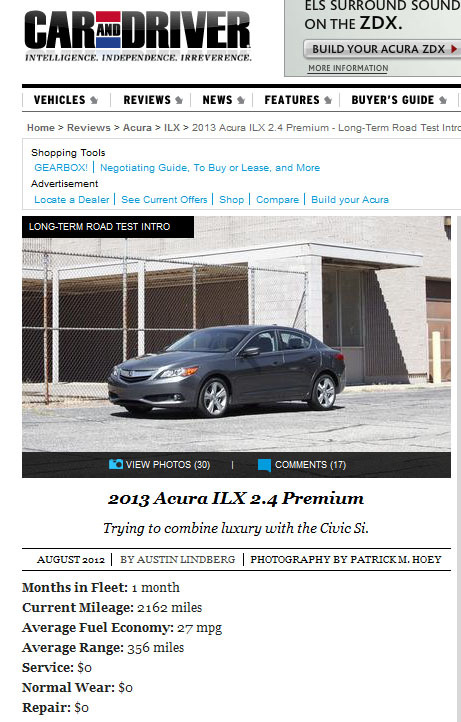 My new Acura made headlines at work in an article that was released this week at my employer’s quarterly newsletter. The following is a shot of what was included in the mailing to the ~350 people who work in my department at CVS Caremark. I got a ton of follow-up feedback via phone and email from my colleagues at the office. Most simply couldn’t believe that Acura took enough interest in my story to form this type of partnership with a “regular guy!” And a handful of people asked me when I’m taking them to lunch in my new car. Ha! Here are a couple of the comments I received. Tyson, you’ve gone the equivalent to the moon and back. What a feat! I won’t worry about the 100k mark being the end on my Hondas. How cool is that! 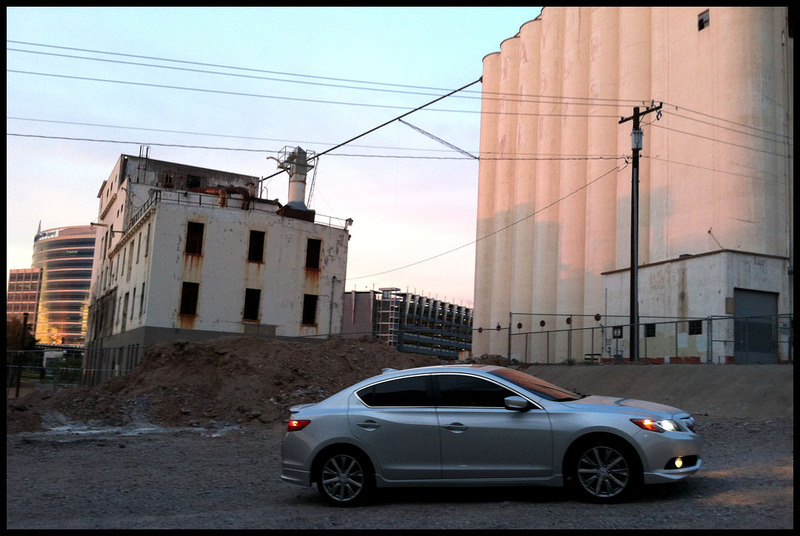 I traded my Acura for a Lexus coupe – can’t remember why. Now I drive a BMW X5. Really love the car, but it’s not as luxurious as my old Legend. Sigh. 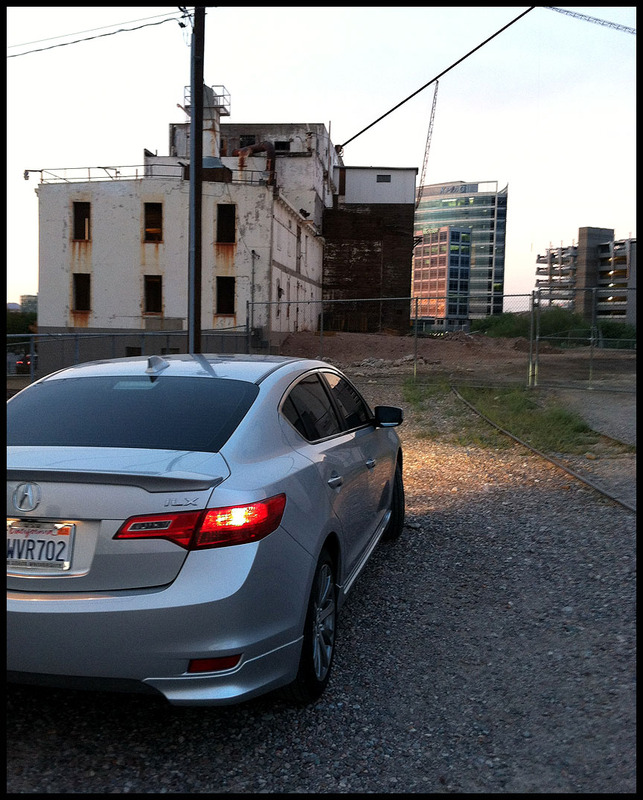 The ILX is doing great and already begging for another road trip. I’ve already got a few travel destinations in mind for the coming several weeks. 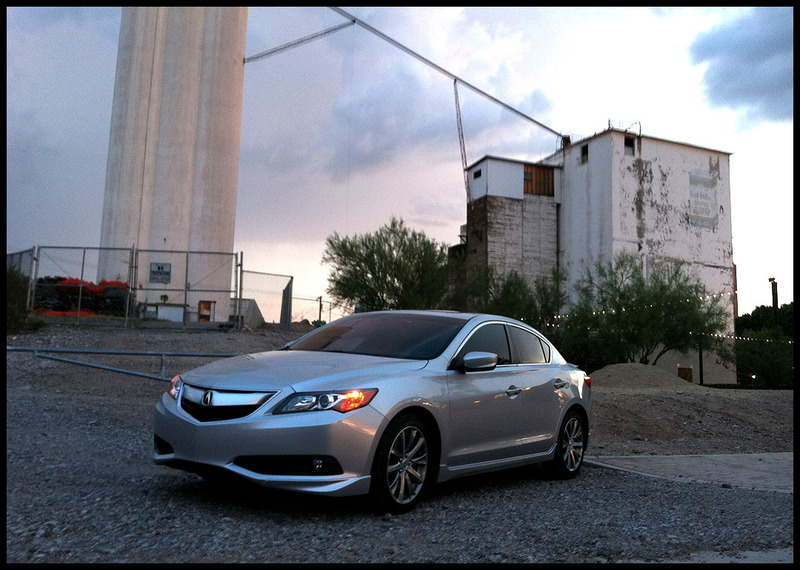 It’s exciting to see the ILX ownership / enthusiast community continue to grow. If you haven’t already done so, make sure and join the ILX Owners & Enthusiasts group on Facebook and also take a look at the ILX Owner Sign-In thread at Acurazine — the world’s largest internet forum devoted to all things Acura. (The member list currently shows over 87,000 registered users). So far, 12 lucky new ILX owners including myself have made their presence known but I know that many more will join as the ILX sales escalate. 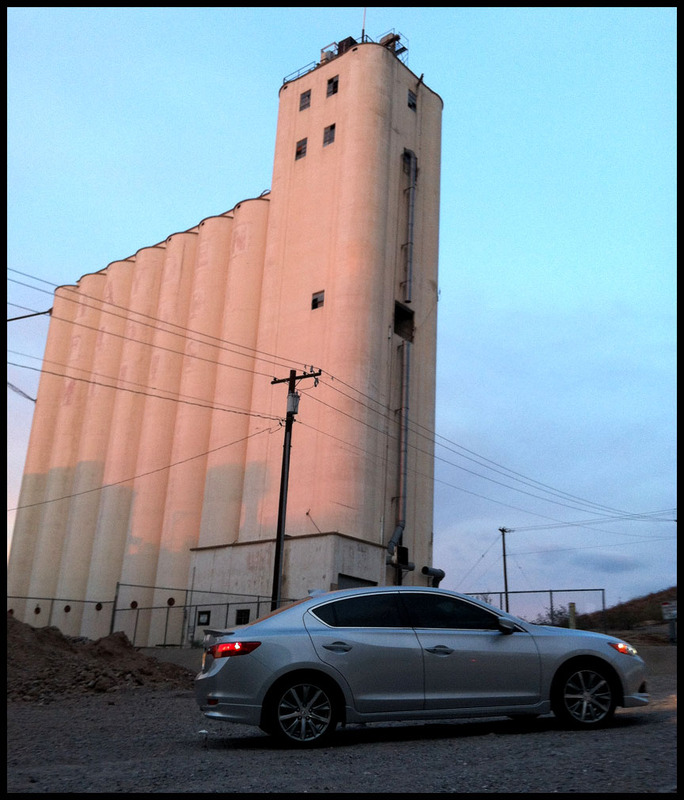 On Monday night, I happened to again be near downtown Tempe and stopped for a couple of pictures at the Hayden Flour Mill (which first launched operations in 1918) that I discussed in my blog from last week. I really wish I’d had my “real” camera with me because these grainy iPhone pictures just don’t do anything at all justice. 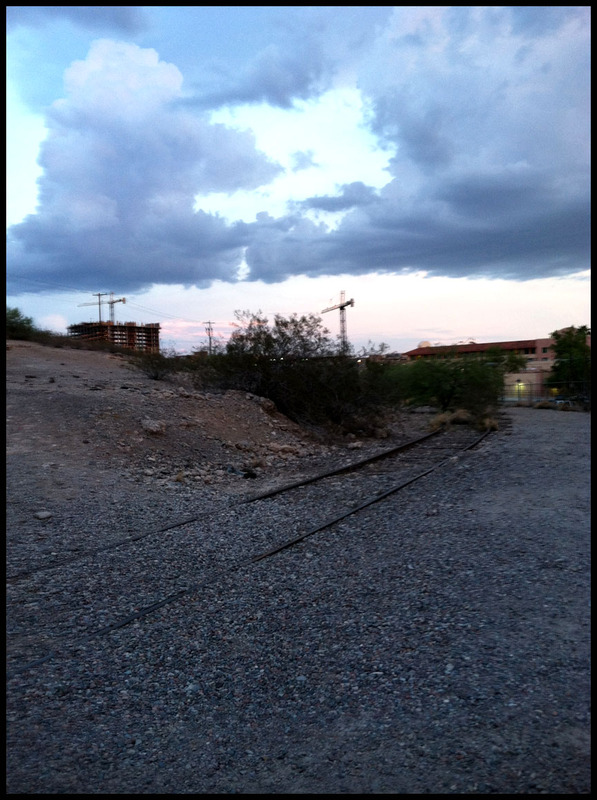 There’s a set of train tracks running alongside the mill that have since been bypassed by a newer set that’s located west of this site. Also interesting to note in the above picture the contrast between the old mill buildings and the new corporate complex in the background. 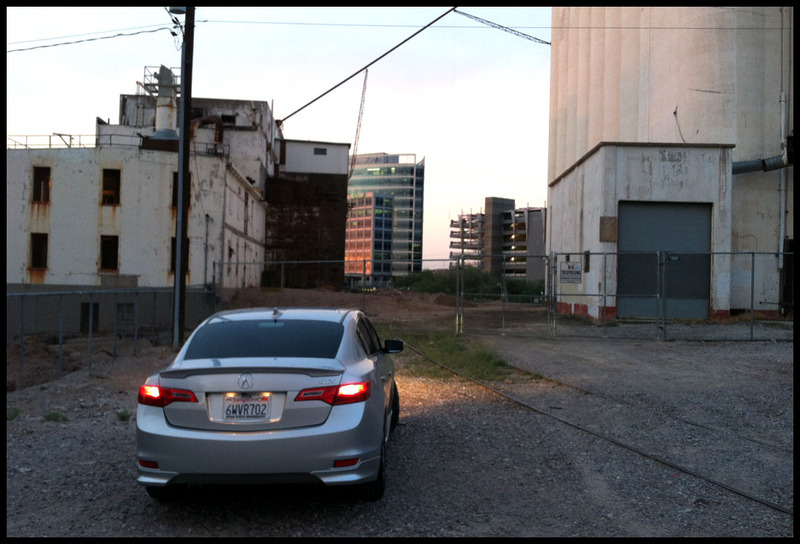 The city of Tempe really has grown up around this old mill. 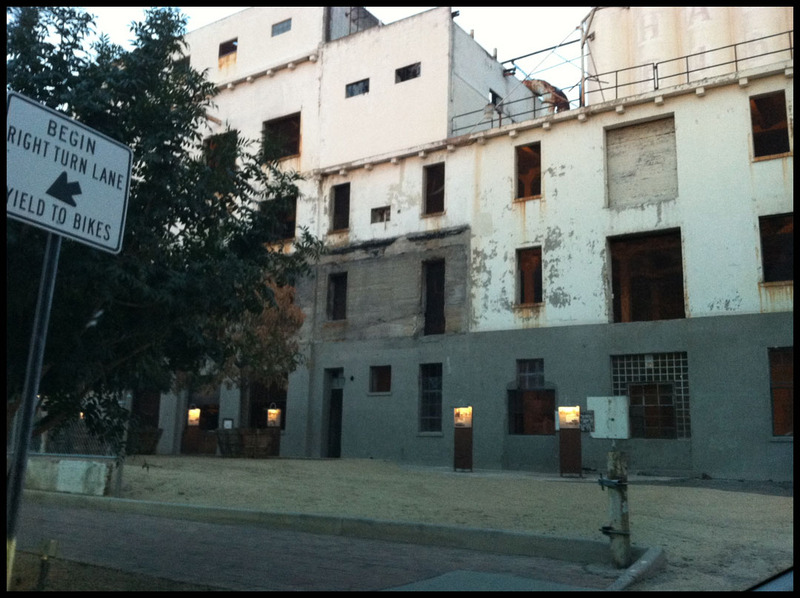 You can still see a very faint “Hayden Flour Mills” written on the side of the building. Doesn’t the sight of an abandoned building make you want to go crawl inside? I have a fascination with such things, and I’d love to get up enough bravery to hike around in a place like this, just to see what I could find. It’d be similar to that day in 2005 when I took a day trip in the Legend and explored the abandoned buildings of the Modena, Utah ghost town. I captured this picture “on the fly” while crossing the Salt River at the Rural Rd bridge, but these Arizona sunsets are phenomenal! As my longer-term evaluation of the ILX continues, my readers may also wish to keep tabs on a similar undertaking by Car & Driver. They’ve inducted a 2.4 liter 6-speed Polished Metal Metallic ILX into their long-term test fleet and already logged a couple thousand miles. See the initial write-up here. The old high-miler Legend, meanwhile, will be the feature of my next blog post. Exciting things are happening with it! 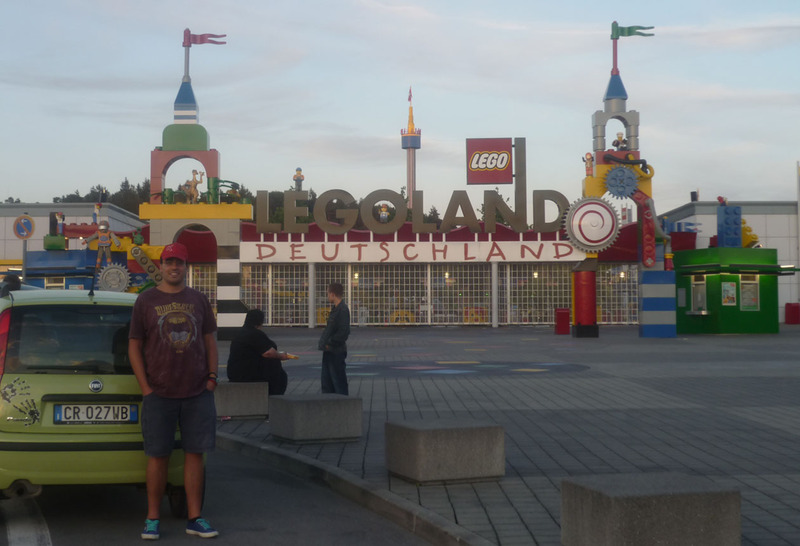 This entry was posted on August 23, 2012 at 4:42 pm and is filed under Throwback. You can follow any responses to this entry through the RSS 2.0 feed. You can leave a response, or trackback from your own site. Oh, the Bobcat. What a P.O.S. I think we only kept it for a minute before moving through the rest of our nearly 40 vehicles over the span of 25 years! Puuhh-leeease! I have seen many advancements in technology in my 50 years of life, and imagine what things will be like in another 50 years!! Another good read, Tyson. Drive on! Hey that old Bobcat might’ve been worth something if you’d kept it! You never know. Agreed – technology has come a long way. Will we be in flying cars by October 21, 2015 when Doc Brown and Marty McFly arrive in the Hill Valley of the future like in Back to the Future III? Some stuff coming up with the coupe huh? Interesting, veryyy interesting! Dave, “engagement” management is actually “project” management but just with a fancier name! Yes, I’ll share some updates on the coupe in a post later this weekend. Hope you have a great one! 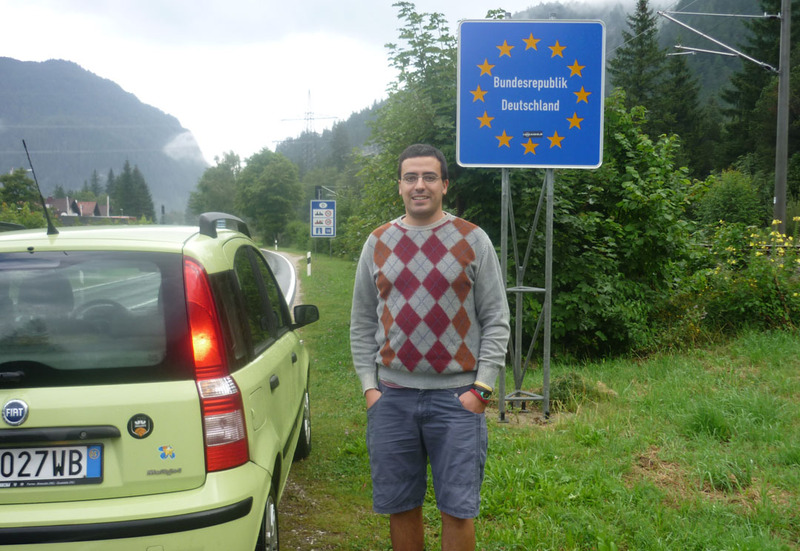 You’re very welcome Francesco! I will look forward to your continued updates Keep it up! Tyson, you’re an inspiration to all us lugnuts out there. Drive on! Haha, not sure about the inspiration but I’d definitely consider myself a lugnut if there is such a thing. Glad you enjoy the blog – let me know if you have any suggestions on anything you’d like to read about!